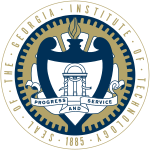 Here below are a variety of Computer Science programs that are located in the state of Georgia. Agnes Scott College is a private institution that was founded in 1889. It has a total undergraduate enrollment of 927, its setting is urban, and the campus size is 100 acres. It utilizes a semester-based academic calendar. Agnes Scott College's ranking in the 2018 edition of Best Colleges is National Liberal Arts Colleges, 61. Its tuition and fees are $39,960 (2017-18). Albany State University is a public institution that was founded in 1903. It has a total undergraduate enrollment of 2,594, its setting is city, and the campus size is 232 acres. It utilizes a semester-based academic calendar. Albany State University's ranking in the 2018 edition of Best Colleges is Regional Universities South, 106. Its in-state tuition and fees are $6,726 (2017-18); out-of-state tuition and fees are $19,802 (2017-18). Augusta University is a public institution that was founded in 1828. It has a total undergraduate enrollment of 5,133, its setting is urban, and the campus size is 670 acres. It utilizes a semester-based academic calendar. Augusta University's ranking in the 2018 edition of Best Colleges is National Universities, Tier 2. Its in-state tuition and fees are $8,634 (2017-18); out-of-state tuition and fees are $23,606 (2017-18). Clark Atlanta University is a private institution that was founded in 1988. It has a total undergraduate enrollment of 3,093, and the campus size is 126 acres. It utilizes a semester-based academic calendar. Clark Atlanta University's ranking in the 2018 edition of Best Colleges is National Universities, Tier 2. Its tuition and fees are $23,082 (2017-18). Clayton State University is a public institution that was founded in 1969. It has a total undergraduate enrollment of 6,555, its setting is suburban, and the campus size is 192 acres. It utilizes a semester-based academic calendar. Clayton State University's ranking in the 2018 edition of Best Colleges is Regional Universities South, Tier 2. Its in-state tuition and fees are $6,410 (2017-18); out-of-state tuition and fees are $19,486 (2017-18). 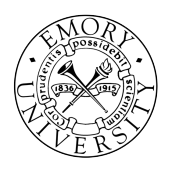 Emory University is a private institution that was founded in 1836. It has a total undergraduate enrollment of 6,861, its setting is city, and the campus size is 630 acres. It utilizes a semester-based academic calendar. Emory University's ranking in the 2018 edition of Best Colleges is National Universities, 21. Its tuition and fees are $49,392 (2017-18). Fort Valley State University is a public institution that was founded in 1895. It has a total undergraduate enrollment of 2,252, its setting is rural, and the campus size is 1,365 acres. It utilizes a semester-based academic calendar. Fort Valley State University's ranking in the 2018 edition of Best Colleges is Regional Universities South, Tier 2. Its in-state tuition and fees are $6,664 (2017-18); out-of-state tuition and fees are $19,740 (2017-18). Georgia State University is a public institution that was founded in 1913. It has a total undergraduate enrollment of 25,455, its setting is urban, and the campus size is 71 acres. It utilizes a semester-based academic calendar. Georgia State University's ranking in the 2018 edition of Best Colleges is National Universities, 223. Its in-state tuition and fees are $10,858 (2017-18); out-of-state tuition and fees are $29,432 (2017-18). 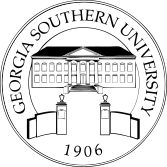 Georgia Southern University is a public institution that was founded in 1906. It has a total undergraduate enrollment of 18,005, its setting is rural, and the campus size is 900 acres. It utilizes a semester-based academic calendar. Georgia Southern University's ranking in the 2018 edition of Best Colleges is National Universities, Tier 2. Its in-state tuition and fees are $6,796 (2017-18); out-of-state tuition and fees are $18,692 (2017-18). Kennesaw State University is a public institution that was founded in 1963. It has a total undergraduate enrollment of 32,166, its setting is suburban, and the campus size is 602 acres. It utilizes a semester-based academic calendar. Kennesaw State University's ranking in the 2018 edition of Best Colleges is National Universities, Tier 2. Its in-state tuition and fees are $7,432 (2017-18); out-of-state tuition and fees are $21,158 (2017-18). Mercer University is a private institution that was founded in 1833. It has a total undergraduate enrollment of 4,706, its setting is city, and the campus size is 150 acres. It utilizes a semester-based academic calendar. Mercer University's ranking in the 2018 edition of Best Colleges is National Universities, 133. Its tuition and fees are $36,000 (2017-18). Morehouse College is a private institution that was founded in 1867. It has a total undergraduate enrollment of 2,108, its setting is urban, and the campus size is 66 acres. It utilizes a semester-based academic calendar. Morehouse College's ranking in the 2018 edition of Best Colleges is National Liberal Arts Colleges, 160. Its tuition and fees are $27,278 (2017-18). Spelman College is a private institution that was founded in 1881. It has a total undergraduate enrollment of 2,125, its setting is urban, and the campus size is 39 acres. It utilizes a semester-based academic calendar. Spelman College's ranking in the 2018 edition of Best Colleges is National Liberal Arts Colleges, 61. Its tuition and fees are $28,181 (2017-18). 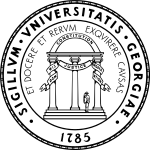 University of Georgia is a public institution that was founded in 1785. It has a total undergraduate enrollment of 27,951, its setting is city, and the campus size is 767 acres. It utilizes a semester-based academic calendar. University of Georgia's ranking in the 2018 edition of Best Colleges is National Universities, 54. Its in-state tuition and fees are $11,818 (2017-18); out-of-state tuition and fees are $30,392 (2017-18). University of North Georgia is a public institution that was founded in 1873. It has a total undergraduate enrollment of 17,704, its setting is suburban, and the campus size is 630 acres. It utilizes a semester-based academic calendar. University of North Georgia's ranking in the 2018 edition of Best Colleges is Regional Universities South, 61. Its in-state tuition and fees are $7,336 (2017-18); out-of-state tuition and fees are $21,148 (2017-18). University of West Georgia is a public institution that was founded in 1906. It has a total undergraduate enrollment of 11,155, its setting is rural, and the campus size is 645 acres. It utilizes a semester-based academic calendar. University of West Georgia's ranking in the 2018 edition of Best Colleges is National Universities, Tier 2. Its in-state tuition and fees are $7,188 (2017-18); out-of-state tuition and fees are $20,406 (2017-18). 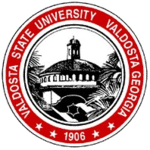 Valdosta State University is a public institution that was founded in 1906. It has a total undergraduate enrollment of 8,780, its setting is city, and the campus size is 180 acres. It utilizes a semester-based academic calendar. Valdosta State University's ranking in the 2018 edition of Best Colleges is National Universities, Tier 2. Its in-state tuition and fees are $6,410 (2017-18); out-of-state tuition and fees are $17,196 (2017-18).